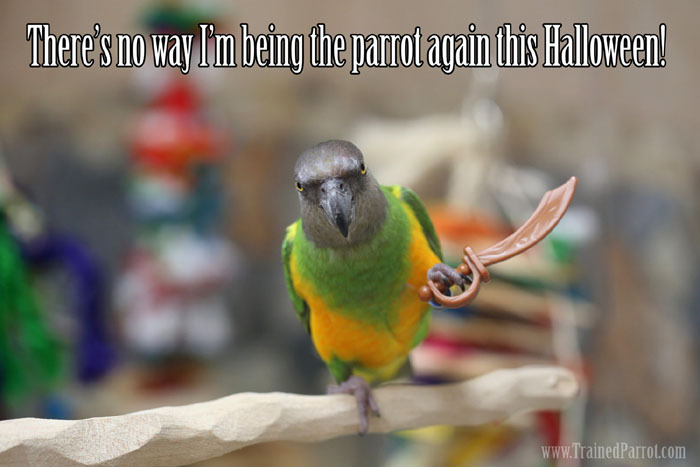 Kili said she's had enough of being the parrot on pirate's shoulder for Halloween. She decided that she's going to be a pirate too! Who has ever heard of that? 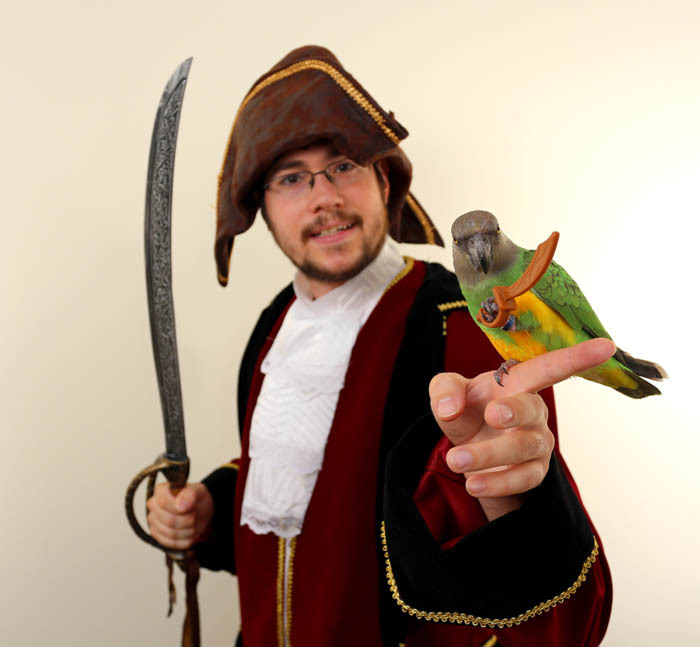 A parrot being a pirate? Check out this special new Halloween video where Kili demonstrates what it's like to be a pirate by hiding her treasure. 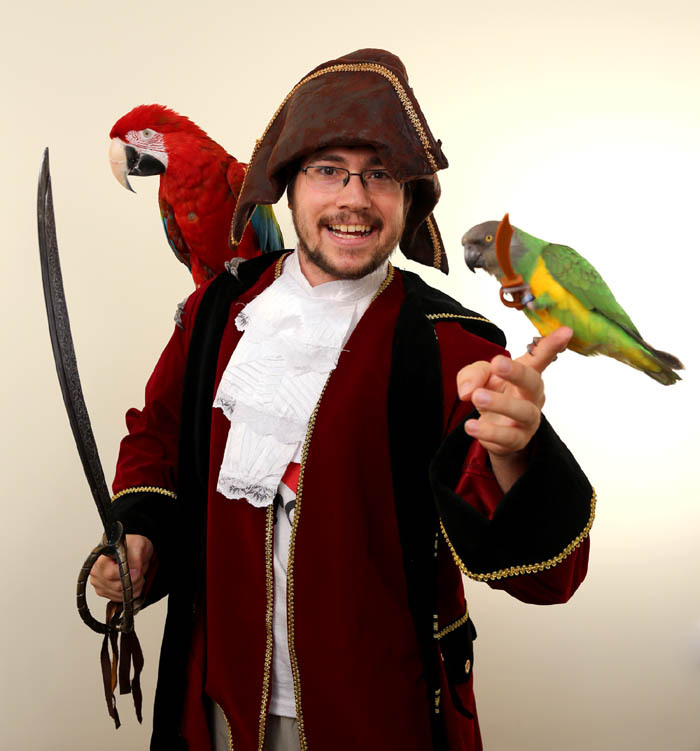 You can teach your bird to stash its booty in a treasure chest too (order the treasure chest prop from ParrotWizard.com).